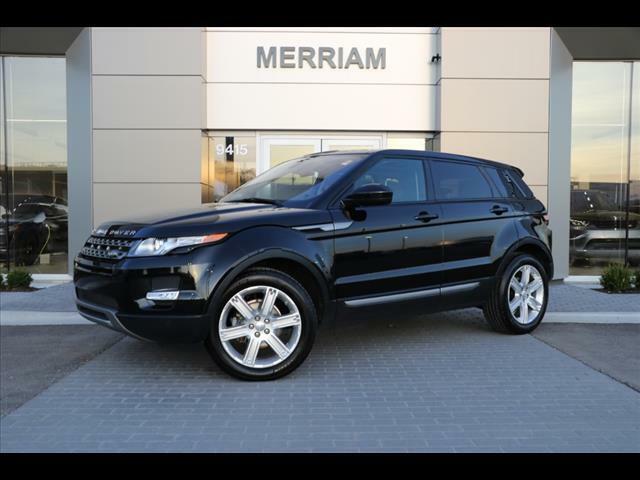 LAND ROVER SELECT CERTIFIED PRE-OWNED EXTENDED WARRANTY! 2015 Range Rover Evoque Pure Plus in Santorini Black over Ebony Leather Interior. 1-owner trade-in, clean inside and out and just had the 40k mile service done and battery replaced. Nicely optioned with Rearview Camera, Navigation, Land Rover Terrain Response System, Heated Front and Rear Seats, Heated Steering Wheel, Heated Windshield, Bluetooth, Voice Control, Power Liftgate, Panoramic Roof, and More! Please Contact Brian Stacy 1-855-979-0255 to Test Drive Today! Aristocrat Motors, Kansas City's premier luxury dealer strives for the highest levels of customer service. Voted "Best in Business" by the readers of Ingram's magazine, our customers are our number one priority.